Tired due to hours of studying? Feeling overwhelmed about your upcoming finals? Well we’ve got the event for you! 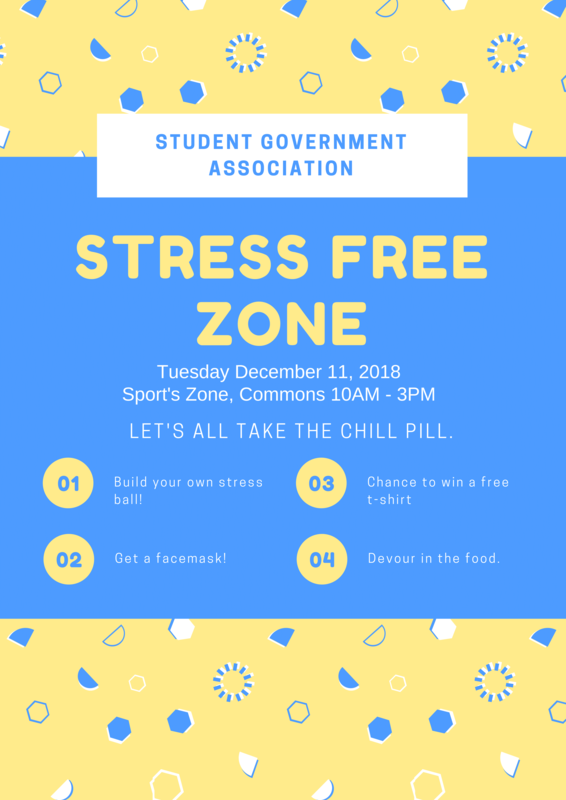 Come out to the annual Stress-Free Zone held by the UMBC SGA's First Year Ambassadors (FYA)! You’ll have the opportunity to make your own stress ball, de-stress and rejuvenate with a fun face mask, unwind with some coloring, and so much more! There will be free pizza and an assortment of teas.